Florida Probate: How can I open a safe deposit box owned by a person who has passed away? One of the problems that occurs in a Florida probate case is that the decedent (person who passed away) had a safe deposit box. Sometimes, the decedent stored his or her will in the safe deposit box. Other times, the personal representative in the probate needs to access the safe deposit box so that personal representative can carry out his or her duty to gather the assets of the estate. When either of these situations occur, the personal representative and his or her attorney will need to access the decedent’s safe deposit box. How to access a safe deposit box before a personal representative is appointed. According to this statute, a person may examine the contents of a decedent’s safe deposit box under the conditions listed in the statute. Therefore, a court order is not technically required for one of the people listed in the statute to view the contents of the safe deposit box. Any writing that looks like a will of the decedent. In this case, the lessor must deliver the will to the clerk of court in the county in which the financial institution is located. Any writing that looks like a deed to a burial plot. In this case, the lessor of the safe deposit box can simply deliver this document to the person requesting it. Any document that looks like a life insurance policy for the decedent. The lessor can only provide this document to a person who is named as the beneficiary of the policy. When a lessor of a safe deposit box removes any of the described documents from the safe deposit box, the lessor is required to make a copy of the document, and include that copy along with a memorandum of delivery in the decedent’s safe deposit box. The memorandum of delivery must include the name of the officer that opened the box, the name of the person the document was delivered to, the relationship of that person to the decedent, and the date of the delivery of the document. Due to the sensitivity of the delivery of these documents, Florida law requires a strict procedure for allowing access to a safe deposit box without an appointed personal representative. Access to a safe deposit box by a personal representative. The procedure for a personal representative to access a safe deposit box is described in section 733.6065, Florida Statutes and in section 655.936, Florida Statutes. Under section 733.6065, Florida Statutes, the initial opening of the safe deposit box must be completed in the presence of any two of the following: an officer of the lessor of the safe deposit box, the personal representative, or the personal representative’s attorney. Each person who is present at the opening must sign a copy of an inventory of the safe deposit box. The safe deposit box inventory must then be filed in the probate case with a copy of the safe deposit box access record from a period of six months prior to the date of death of the decedent to the date of the inventory of the safe deposit box. The personal representative is authorized to remove the contents of the safe deposit box. When a personal representative is appointed, the personal representative is charged with the duty of taking possession of the decedent’s assets. If the decedent leased a safe deposit box, the personal representative will have the responsibility to gather the assets from the safe deposit box to later be distributed to beneficiaries or liquidated to pay creditors. 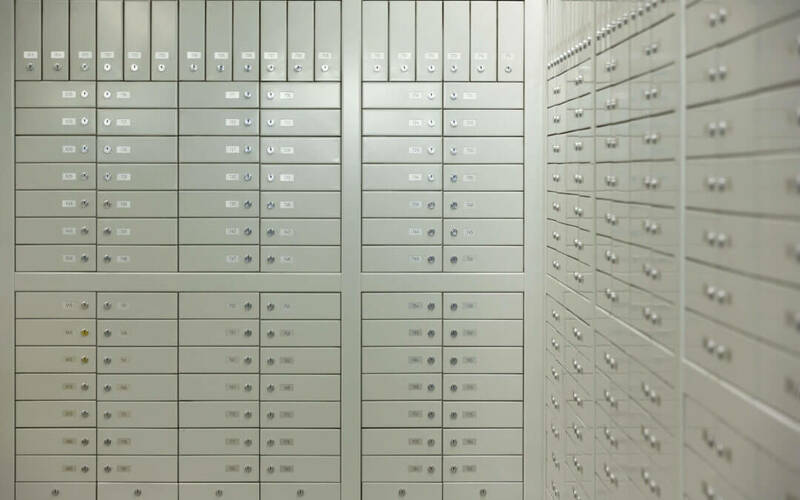 Due to the nature of the safe deposit box, section 733.6065, Florida Statutes provides for a specific procedure and records to be kept when a safe deposit box is initially opened. It is extremely important that a safe deposit box be opened in this procedure. If this procedure is not followed, there may be objections from beneficiaries and creditors about the contents of the safe deposit box. Should I store my will in a safe deposit box? No, we do not recommend storing a will in a safe deposit box. If you pass away and your will is in a safe deposit box, the named personal representative in your will needs to follow the procedure in section 655.935, Florida Statutes to get the original will that needs to be filed in the case. A petition to open safe deposit box may need to be filed. These steps take additional time and may have an additional cost to your beneficiaries. Your best option is to store your original will with your attorney and then provide a copy of it to your named personal representative. If you are a named personal representative for a decedent or are a family member of a loved one who has passed away, contact us today to schedule a free consultation with one of our attorneys. During our consultation, we will review the probate issues that may be present with your loved one’s estate, including any issues dealing with a safe deposit box. We always look forward to helping our clients resolve their loved one’s estates efficiently and cost effectively.